Be involved in the process. When trying to develop a successful PR strategy, it is important to be present during the critical stages of development. Being involved in the early stages can help ensure that the framework for your PR strategy reflects your company as a strong industry leader. This will help the company receive good publicity. In addition, ensure that you review the template your marketing executive designs to help your company get the right attention. Let your voice be heard. It is crucial to establish yourself as an authority in the industry, and let your presence be known. Your strategy should be designed so that any media attention becomes an opportunity for the CEO to demonstrate their professional expertise. To do so, design campaigns that allow the top executives of the company to be the first point of discussion. Create your media. Owned media, such as your company blog, can be a powerful asset by driving an effective PR campaign. This can help create more awareness about your internal operations. Media representatives can rely on your company’s website, or other media, to better understand what your company is all about. Particularly with startup companies, owned media is critical in directing the focus of their audience. Involve experienced professionals. Getting the attention of the media in the early stages can often be tough. However, hiring a PR agency can give you the head start that you need. Letting an experienced professional PR company handle your PR will take a lot of weight off your shoulders. 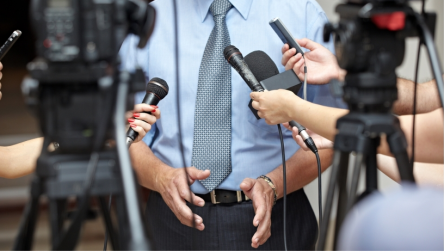 Once your company has more media presence, you may be able to switch to an in-house team.